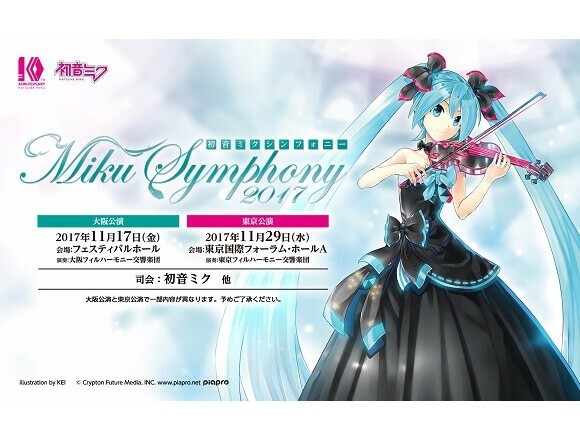 A list of “Hatsune Miku Symphony 2017’s” special goods was released! 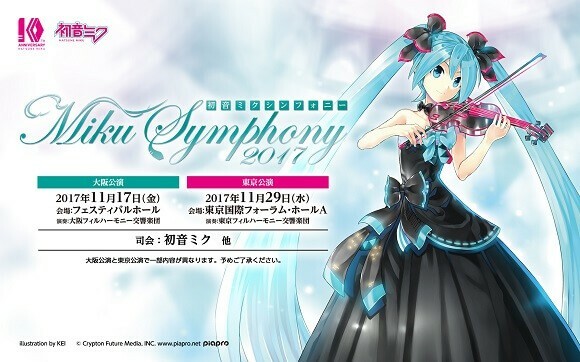 A concert in which vocaloid tunes are performed (including Hatsune Miku’s tunes) with a full orchestra “Hatsune Miku Symphony 2017” will be held next month. A list of the goods which will be offered as presents to the purchasers of a ticket to this special concert was released. 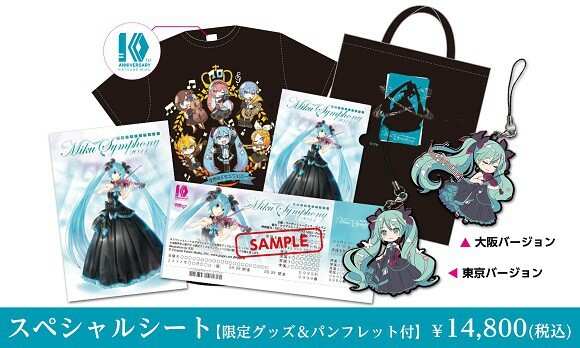 These goods include a T-shirt with a 10th year anniversary tag of Hatsune Miku which was designed by Tera Terada and a rubber strap which was designed by iXima. The rubber straps which will be sold in Osaka and in Tokyo have different illustrations on them. In addition to an official pamphlet, a clear file and a bag made of bonded material – all similar goods to last year, an original-design ticket that comes with a “special seat” reservation will be offered. The number of the “special seats” which comes with Hatsune Miku’s 10th anniversary goods are limited so be sure to purchase the ticket as soon as possible! The ticket can be bought at all play guides. Get your own 10th year anniversary goods. ※The designs of the rubber strap sold in Osaka and Tokyo are different.